Staging every room in a for-sale listing may sound ideal; however, it may be a daunting task to both the seller and the listing agent. If your seller can’t afford to invest in staging the entire home, it’s OK to scale down—after all, it’s better to do a good job on a few rooms than to do nothing at all. When deciding which rooms to cut and which to keep, remember that not every room is created equally and that half the battle is decluttering. When buyers can picture themselves in the home, they’re willing to pay more. NAR’s 2017 Profile of Home Staging reported that 29 percent of seller’s agents reported a 1 to 5 percent increase in offer amount compared to similar homes. A further 21 percent reported a 6 to 10 percent increase in their offer amount. Staging also decreases the amount of time a listing will spend on the market. Photos of a nicely staged home make people more willing to walk through a property they found online. Dress the table up with a nice centerpiece and some simple but attractive place settings, but don’t make the table feel cluttered. If the table sits six, lay out four places. If it sits four, lay out two. This will ensure the table looks spacious and inviting. Remove any extra chairs that are gathered around the room, and make sure there is plenty of light, as well. If you want the bathroom to appeal to buyers, make sure it is spotless. Everything from the tub to the walls should look fresh and clean. You should also remove any medications from the bathroom and put out fresh rugs and towels. Adding a few decorative candles or jars to the shelves will help create a more spa-like environment, as well. Start by packing up anything that will identify who the child in the room is, such as school memorabilia, sports jerseys, trophies or photos. Most of the toys and all electronics devices should go, as well. Try to emphasize the child’s bedroom as a creative space. A desk or table can help with this. Keep the center of the room clear to emphasize plenty of play space, and use a gender-neutral color scheme to help buyers imagine their children in the room. 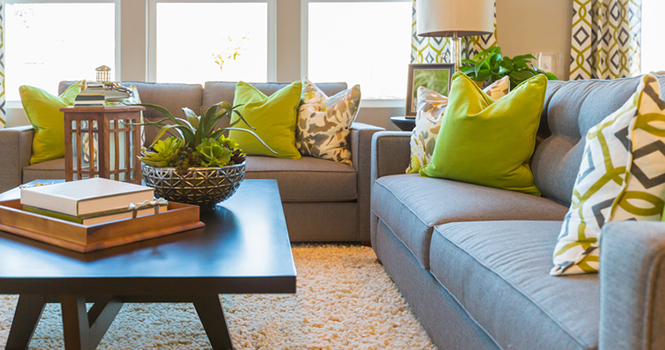 Once your client’s home is staged, it’s your turn to step up to the plate and get it sold. Homes.com makes it easy to find interested buyers and sellers with Featured Agent ads, which display your listings at the top of Homes.com, just one click away from popular Google searches.